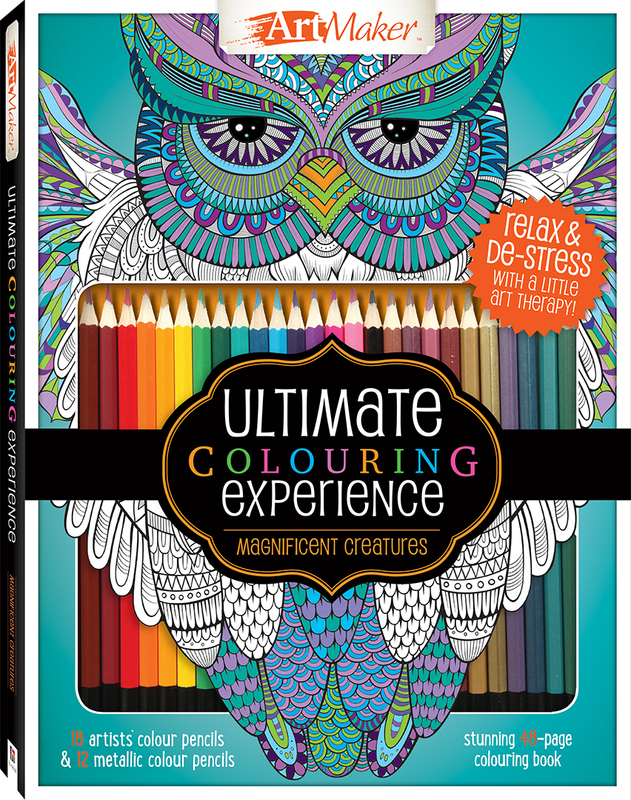 Lose yourself in a soothing world of colouring with the Ultimate Colouring Experience: Magnificent Creatures. Colouring is the perfect way to relax, unwind and unleash your creativity; so enter a world of fantasy as you bring to life stunning illustrations of majestic lions, intricate elephants, playful whales and more! Everything you need to doodle, create and colour is in this kit: a 48-page colouring book, 18 artists’ colour pencils and 12 metallic pencils; so take a moment to sit and let the thoughts of the day float away while you colour these beautiful scenes. You’ll be glad you did!